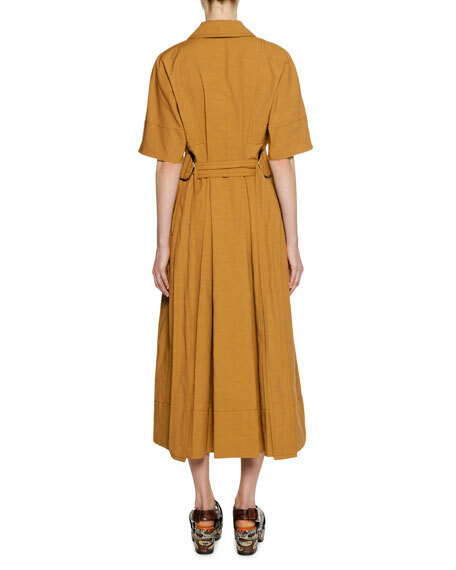 Marni shirtdress in cotton-linen blend with seaming details. Self-tie belt with oversize D-ring hardware. Modern graphic prints and architectural silhouettes form the visual vocabulary of the celebrated Italian label, Marni. 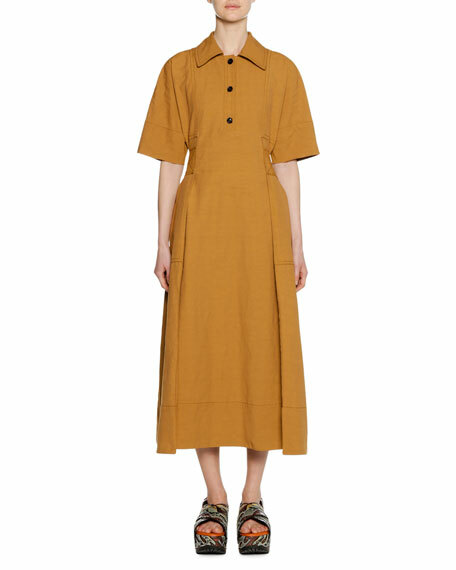 Founded in 1994, Marni has defined itself as an iconic brand through its avant-garde and artful approach to fashion. The brand's quirky and eclectic aesthetic both embodies twenty-first century fashion and rejects established codes. In 2016, Francesco Risso replaced founder Consuelo Castiglioni as the new creative director. For in-store inquiries, use sku #2659037.